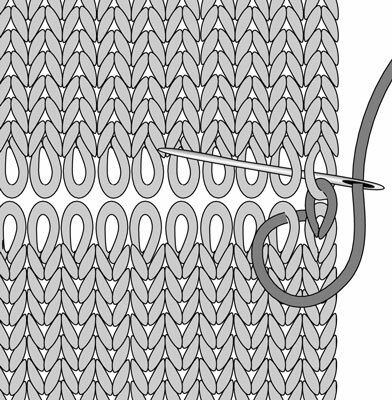 By using grafting (also known as the Kitchener stitch), you can join two knitted pieces. 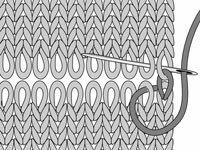 Grafting stitches is a way to mock knitting by using a tapestry needle, and it creates a very stretchy and almost invisible join. 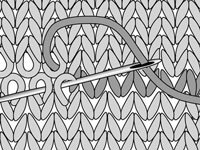 1Leave a yarn tail for grafting about four times the width of the piece and, with a tapestry needle, run a piece of scrap yarn through the stitches. 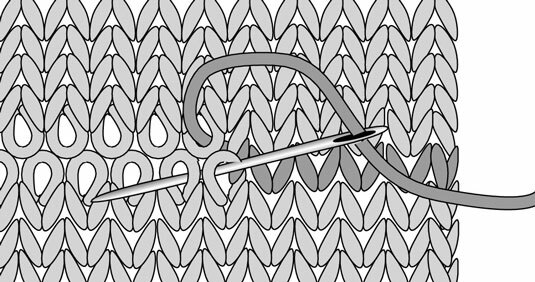 The needle secures the stitches while you block your pieces. 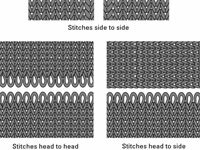 2Line up the pieces right sides up with the stitches head to head. This positioning allows you to join the pieces nearly seamlessly. 3Thread a tapestry needle with the working yarn. 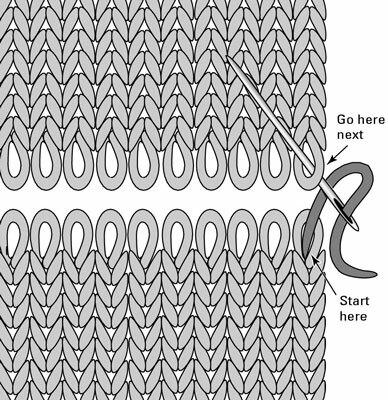 You graft the stitches from right to left, but if you’re more comfortable working left to right, or if your yarn tail is at the other end, you can reverse direction. 4Insert the needle up through the first loop on the right, and pull the yarn through. Start in the bottom piece. 5Insert the needle up through the first right loop on the upper piece. 6Insert the needle down into the first loop on the bottom piece (the same loop you began in) and come up through the loop next to it. 7Insert the needle down into the first loop on the upper piece and up through the stitch next to it. 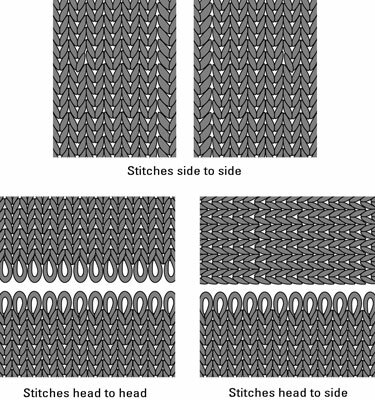 8Repeat the process of inserting the needle into loops until you come to the last stitch on both pieces. Follow the rhythm down and up, down and up, while you move from one piece to the other. 9Insert the needle down into the last stitch on the bottom piece and then down into the last stitch on the top piece. 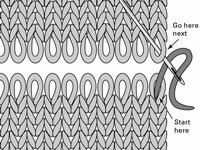 Run the end along the side loops and snip.